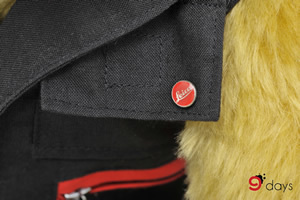 Do you know any connection between Teddy bear and Leica? 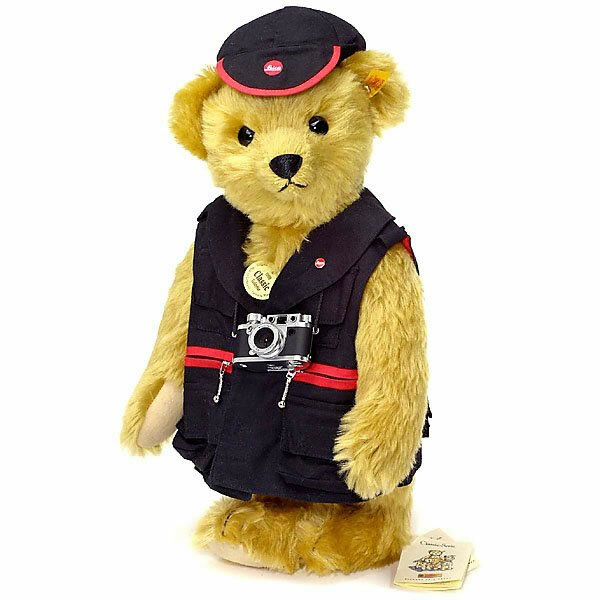 Leica cooperated with Steiff, Germany famous Teddy bear production expert, to produce 200 handsome Leica Teddy bear reporter, which was issued in 2000. 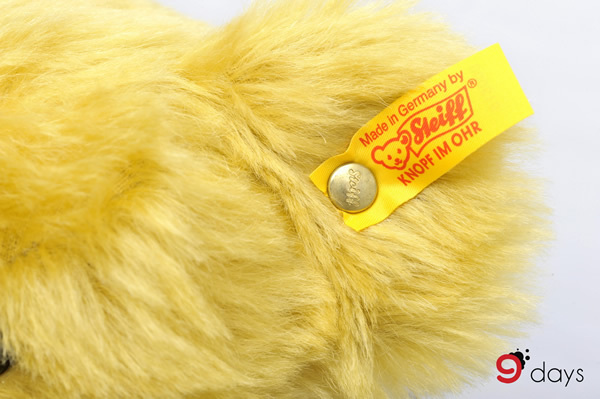 Steiff, specializes in nap-made toy animals production, was established by Margarete Steiff in 1880. She is a German rural female tailor who was born with polio. 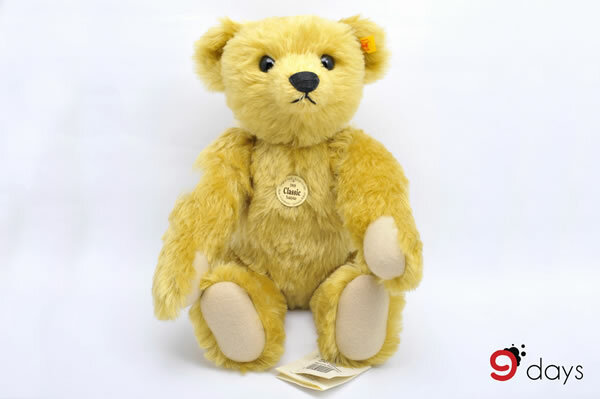 From the early production of toy elephants, later Teddy bears, to the making of 3000 Teddy bear for George Borgfeldt Dolls in 1903, Steiff has become a great specialist in Teddy bear production. 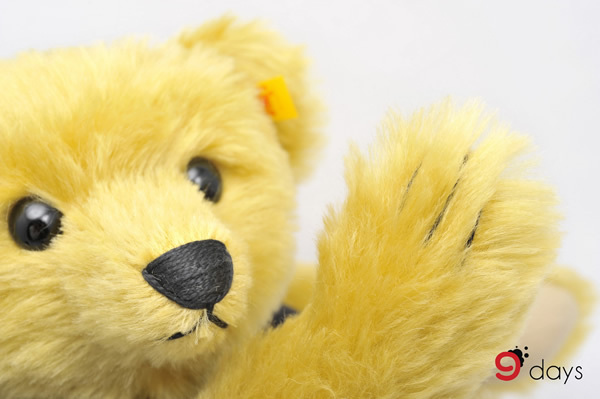 The blond mohair-made Teddy bear was originally the Steiff 1909 Classic Bear with 43cm tall. With the special sound feature of Steiff Teddy bear, it contains an inner growler that can generate interesting sound like the noise of a toy duck when shaking it forward and backward. It perfectly interprets the image of a reporter after wearing a reporter cap with Leica logo, a reporter coat with Leica badge and a mini Leica MINOX classic camera (Leica IIIf). 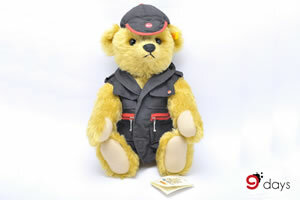 Pretty Leica Steiff Teddy bear has bright black eyes and its nose, mouth and claws are embroidered with black threads. Moreover, it has felt pads. Its hands and legs can move freely because they are fully jointed. Its left ear was nailed with a famous yellow Steiff ear tag with red words. The reporter cap and coat are in the perfect match of black and red colours. 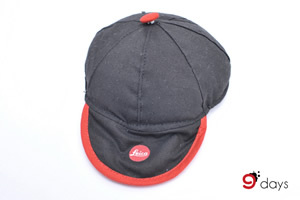 The cap is mainly in black perfectly collocating with red Leica logo, red peak button and front edge of the cap. The coat is secured with Velcro. 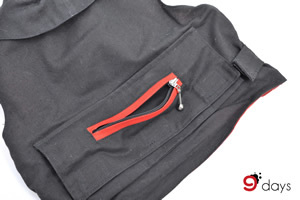 Its surface layer is also mainly in black but its inner layer is made with red fabric. 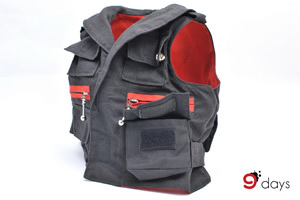 The coat includes five Velcro-secured pockets and three red zip pockets. The exquisite costume enhances the professional image of the Teddy bear reporter. 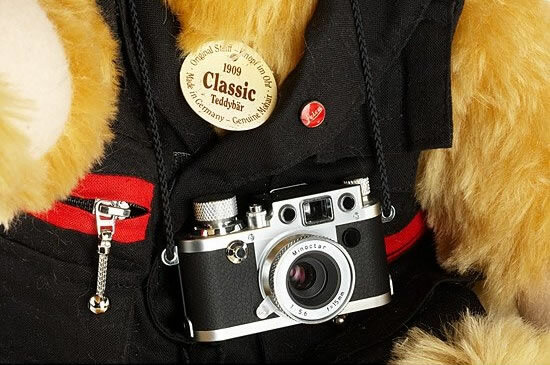 Apart from the exquisite costume, the main focus is the Leica MINOX classic camera (Leica IIIf) worn by the Teddy bear. This mini camera was made with the basis of Leica IIIf, a camera launched in 1950 built exclusively for Swedish Army. 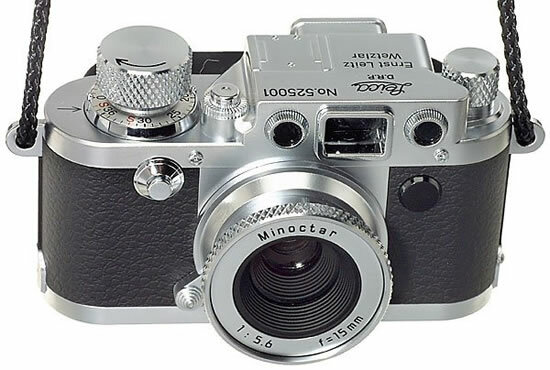 It consists of chrome silver Minoctar 15mm f/5.6 (3 elements in 3 groups) lens, which is able to produce excellent and satisfying photographs. Comprising all these brilliant features, the Leica MINOX classic camera (Leica IIIf) is thus of its precious collectable value. When legend met legend, it has no reason for both Teddy bear lovers and Leica collectors to miss it. 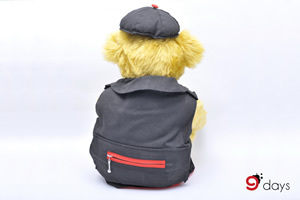 We have a great pleasure that Leica Steiff Teddy Bear is finally available in our shop. Go here to find it in our online shop now.